As always, at Bowers & Lobeck Inc. we place our focus on the quality of work we provide, and not the quantity. This means we will not take on too many projects all at once – so that we can dedicate our time and efforts to the success of every project and happiness of each client. Since we are located in Lancaster, PA, our website focuses on generating new Lancaster, PA clients through quality Search Engine Optimization. However, thanks to social media and our gracious customers’ referrals, we’re also called to do jobs outside of Lancaster. B&L will deliver big city company results with a small town personal touch and price tag – within 150 miles from our hometown, and that includes NJ, MD, and DE! Just recently, we had the honor to complete jobs in the following areas outside of Lancaster: Bayview in Strathmere, NJ, Wallick Parkton, MD, Barish Princeton, NJ, Fernside in Coatesville, PA, and Commercial Gable Apartments in Lewistown, PA.
Ready to remodel and restore your entire kitchen? 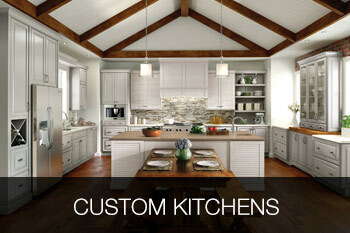 Thinking of improving functionality and style of your current kitchen or bathroom? We live and breathe and are passionate about exactly this: creating that particular look for your space, and transforming outdated, impractical, and inadequate kitchens into a custom kitchen dreamland. So, whether you’re in Lancaster County, PA, or in New Jersey, Maryland or Delaware, and you’d love to renovate and update your kitchen or bathroom cabinets, countertops, or the entire design and look of the space – let our dedicated team bring their experience and expertise to your home and make your wishes come true. New custom kitchen and bathroom cabinets can greatly transform and boost your space, while adding the style and enhancing the overall appeal. 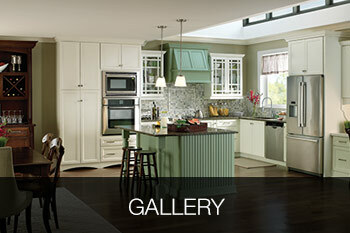 Is your home just like so many others where kitchen and bathroom spaces are far from maximized? Worry not, Bowers & Lobeck Inc. will skillfully design and build the perfect space for you and your family. Our team of designers, fabricators and installers will work on utilizing every nook and cranny in your home, as storage and functionality play a central role in creating the custom layout and visually appealing kitchen and bathroom. 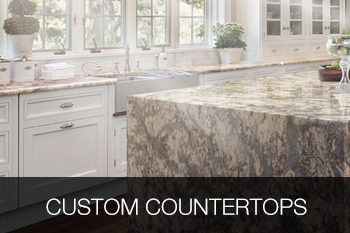 Installing new cabinets and countertops will give your home a very different feel as well as add value. At Bowers & Lobeck Inc., we are very proud of our kitchen design selections, and can achieve any look to represent your particular lifestyle and taste. 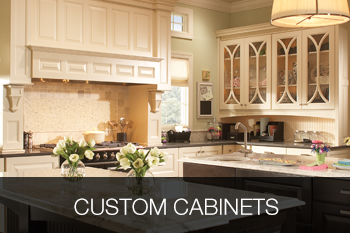 Not only will you have a wide array of styles to choose from, from traditional to modern, but also all custom cabinets in Lancaster, PA and other areas in PA, DE, MD and NJ come in numerous finishes and shades, combining technology with quality materials and beautiful designs. Sometimes, all it takes is to add your personal touches and desired accents to our semi-custom cabinetry, stock cabinetry and countertops to beautifully transform your old kitchen. At Bowers & Lobeck Inc. we have happily and expertly assisted many clients acquire their dream kitchens in their first, second, and final homes over the last 22 plus years! What are your needs? We invite you to give us a call so we can help you create your new dream space. Start browsing all the different designs for your custom kitchen cabinets Lancaster, PA today – our design staff is ready to work with you to develop your ideas and bring them to life.